One of the most versatile types of blind. Fabulous new fabrics keep this well established product as popular as ever. ** Coming soon - inexpensive re-chargeable motorization. 25mm Aluminium blinds with wide range of colours and textures. Wood and Faux wood venetians - one of our biggest sellers. These are also popular as Perfect Fit blinds. Available as 25mm venetians and pleated blinds. The blinds clip into the bead and so there is no drilling necessary. These are particularly popular for conservatories and doors as they open with the doors and windows thus staying in situ. For many years regarded as "just a roller blind", now, thanks to Louverlite's innovation and constant development, the product has taken on new heights with the new open style cassette giving a softer look and concealing the brackets & fixings. Roller blinds can be motorized with or without a timer - one handset operating a bank of blinds altogether or individually. Great for patio style doors or bi-fold doors. Vision roller blinds available (also known as Day & Night blinds) giving a soft versatile look. Available as free-hanging cord operated or in tensioned form for skylight windows. Also available as Perfect Fit blinds. If you're not sure about blinds as such but not wanting curtains - Roman blinds may be the answer. 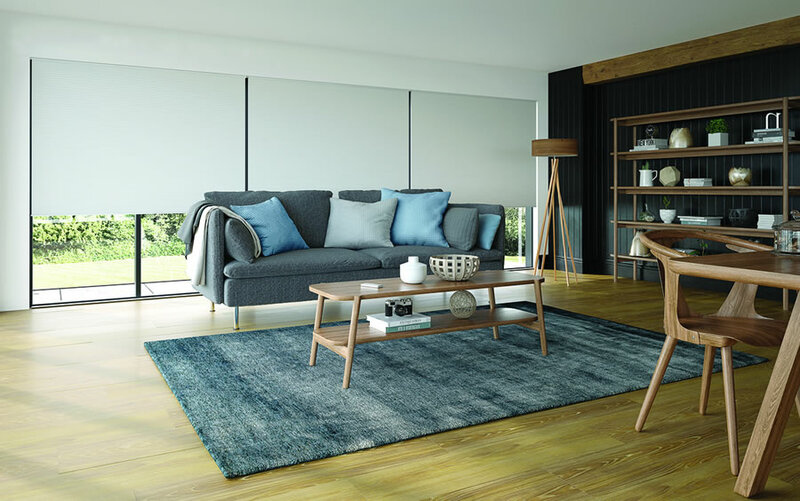 No one type of blind is classed as a conservatory blind - all are suitable but individual style and needs have to be considered when choosing your blinds.